Class in Natural Science, Miss Schreiber Instructor. 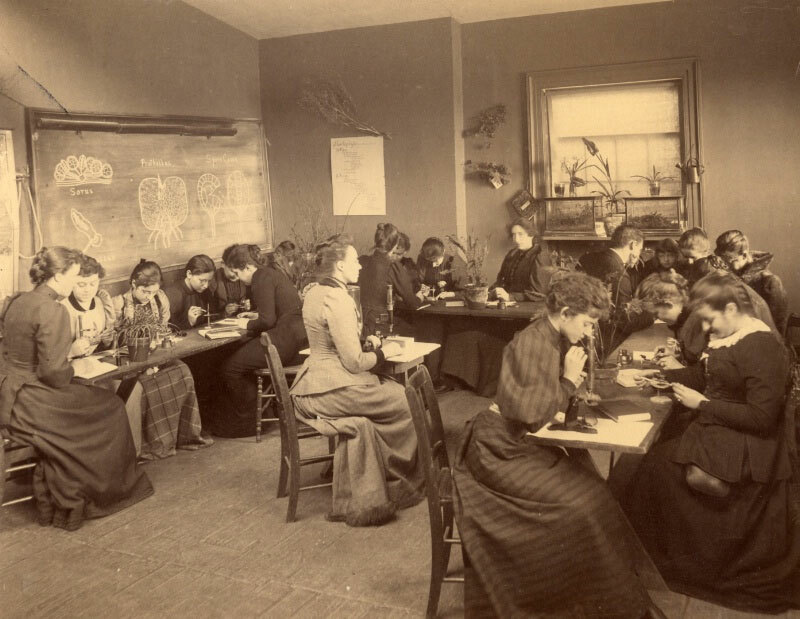 Teachers College Archive, c1900. · As a class, watch the movie “The Collinwood Fire” and write down the narrative of events based upon the film depiction. Address the essential questions in a full class discussion using notes as a reference. · Jig-saw exercise: The Jigsaw teaching strategy helps students learn through cooperation. Group members share responsibility for each other’s learning by using critical thinking and social skills. Each student in the class will be assigned a different section of the website. They will read text from at least one sub-section of the website, watch the related videos, and examine the primary source documentation. Each member of a small group must complete the provided worksheet and participate in a small and large group discussion. · Complete a walk around your school examining its fire-safety measures. Compare and contrast your school layout to that of the Lake View School. Draw a floor plan or picture of the least fire-safe school you can imagine. What are the design flaws in your imagined building? ·Read this brief passage from Jonathan Kozol’s Savage Inequalities: Children in America’s Schools, published in 1991. How would you compare East St. Louis and its school to Collinwood and the Lake View School? Judging from Kozol’s work, what has changed and what has remained the same about small industrial cities, their schools, and the hazards to children in them? What resources and strengths might an individual or community rely on to combat the harsh systemic disadvantages so obvious in Collinwood and East St. Louis? · Choose one current events topic. As a class, examine multiple depictions of this same event. How do the media influence public opinion?